Hi friends! 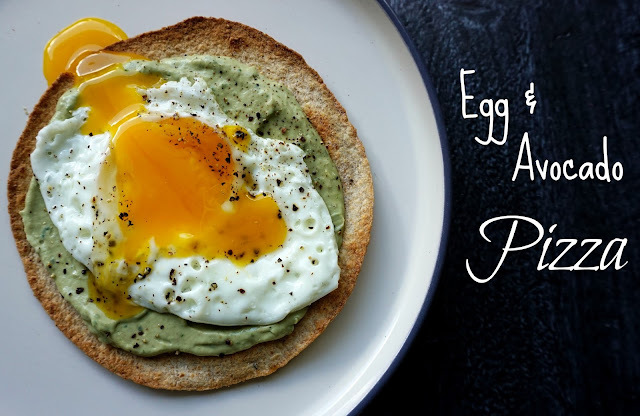 Today I am bringing you one of the easiest, most delicious and quickest meals you can make - an Egg and Avocado "Pizza". This is the perfect morning after meal for New Years Day. I returned home after Thanksgiving with barely anything in my fridge. I had eggs, some fruits and veggies and milk that had gone sour. I was too tired and slammed to go to the store so I stared at my bare fridge for a bit and thought to make an egg and avocado pizza using whole wheat tortillas. I make egg and avocado toast all the time, so why not! Not one to promote drinking too much but this delicious and healthy meal is also a great hangover remedy (which you may need on New Years Day). Eggs provide are packed full of protein and contain a large amounts of cysteine, which helps breaks down the hangover-causing toxin acetaldehyde in the liver's easily depleted glutathione. Avocado's are also full of protein and is an easily digested food that’s gentle on your stomach and is a powerful antioxidant. Combining these two power foods will help you get moving on New Years Day! Toast your tortilla in the oven while preparing your eggs. I blend my Avocado mixture in my BlendTec on the dips feature. 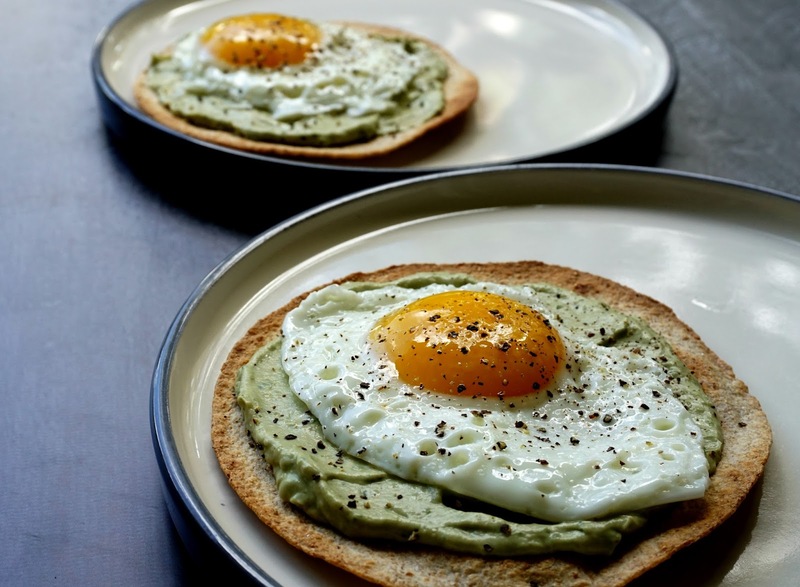 Spread the Avocado Mixture evenly on both tortillas, place with the sunny side egg and enjoy!